Who likes chocolate and art? Just about everybody this side of the North Pole. Those who crave the sweet stuff are bound to “almond joy” the US artist Peter Anton’s ten-foot-high sculpture Choco Tower, which comprises six lip-smacking, supersized stacked chocolates that look good enough to eat. 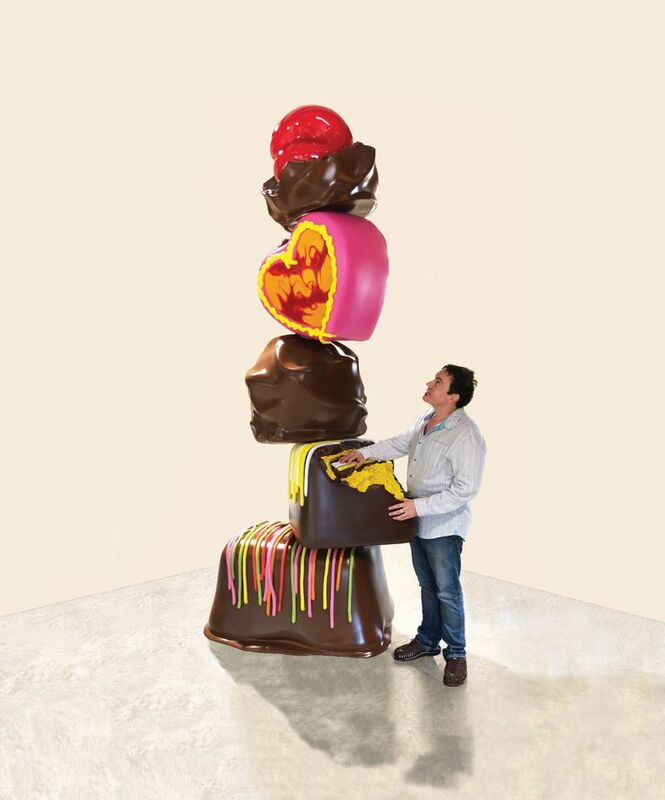 This tower of sweet treats, presented by Germany’s Galerie von Braunbehrens, is on show at the Art Miami fair. “The creation of Choco Tower is a natural evolution of my work. Chocolate has a powerful influence over us and stirs passion and emotions like no other food,” Anton says, outlining why the brown stuff matters. “I love to celebrate the importance and allure of food within people’s lives, both past and present,” he adds. But chocoholics looking for their daily fix should not sink their teeth into the good-enough-to-eat piece unless they want a mouthful of aluminium casing. Stars came out in force last night in Miami’s Design District for the (RED) charity auction in support of HIV/Aids causes. 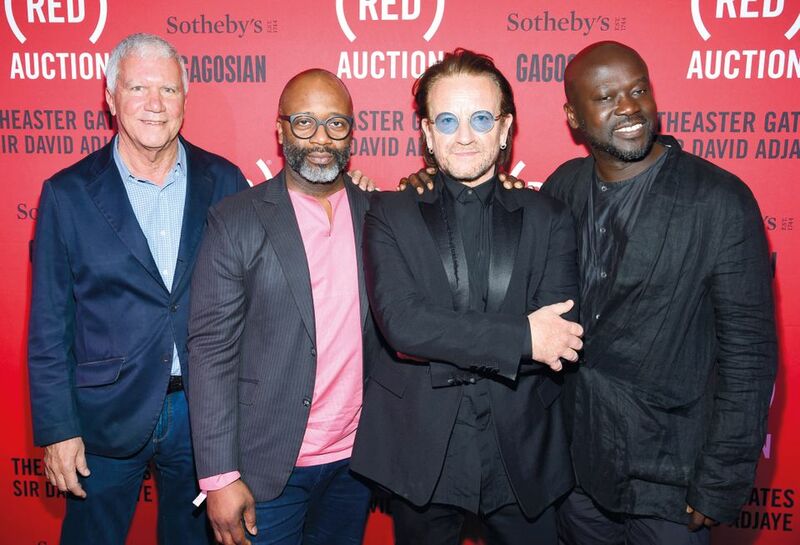 U2 frontman and (RED) co-founder Bono was on hand to launch the event, co-organised by the UK starchitect David Adjaye and the artist Theaster Gates. Presiding over the auction was Oliver Barker of Sotheby’s, who encouraged the audience to take home the paddles “and use them for whatever”. Bidders vied for pieces by Adjaye, Gates and other art-world heavyweights including Marilyn Minter, Jeff Koons, Jenny Holzer and Ebony Patterson, whose work was snapped up by Gates for the hammer price of $58,000. Two lucky bidders walked away with snazzy bespoke trainers designed by Christian Louboutin, stiletto- maker to the stars—in red, naturally. No Art Basel in Miami Beach would be complete without some Chris Taylor catastrophe, for this handsome, part-time rock star and full-time gallerist with Museum 52 is a lightning rod for the wrath of US authorities. Readers may remember that he was brought to the ground by a Swat team outside Miami’s Deuce bar last year, after police mistook him for a South Beach gangster of a similar description. 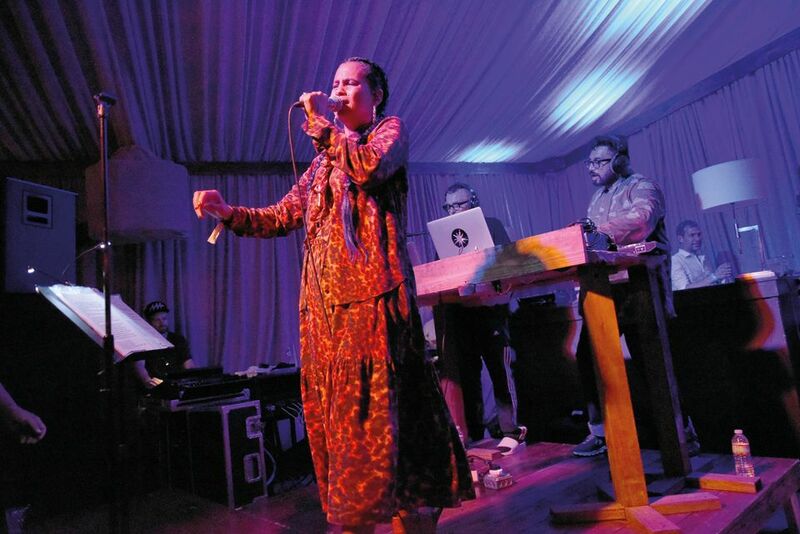 Now, in another case of mistaken identity, he was nearly refused entry into the US by Homeland Security, who assumed that he was the deadbeat Georgian criminal of the same name. Only after strenuously explaining that he had never been to the state was the hapless Taylor reluctantly admitted into Miami.